Since 1989, Sam Grant has dedicated his life to understanding Ulysses S. Grant, one of the greatest leaders this nation has ever known. 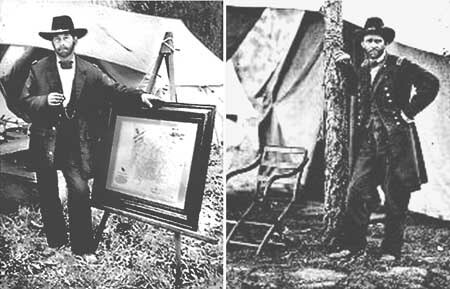 After years of study and experience portraying the part of General Grant, his professional interpretation of the General’s physical stature and character have won him the intellectual admiration and heartfelt appreciation of the most serious students of Civil War history and novice spectators alike. greatest players through all five senses in a living history engagement. war” with the General’s insights and detailed visual aids, occasionally including topographical models. they were over one hundred years past. "Letters, Horses, and Cigars: A Living History Presentation of General U.S. Grant"
For detailed information and to schedule an event, visit the presentations section of this website or the Contact U.S. Page. And, the Women who supported them.